It started off like any other morning. David and his wife Deborah got up and began making the bed. Then suddenly David fell back into a chair behind him. He tried to get up but fell back again. She immediately grabbed the phone and dialed 9-1-1. With David in the ambulance rushing to Vancouver General Hospital (VGH), Deborah was driving right behind. 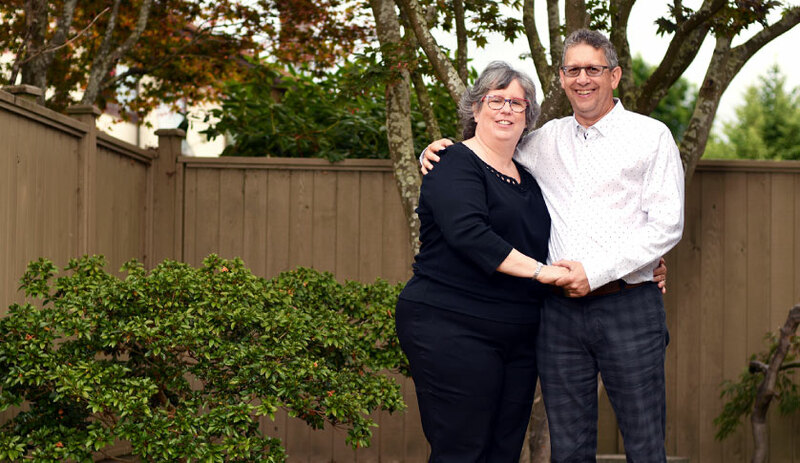 “By the time I parked my car and had arrived into the emergency room, David was surrounded by a myriad of physicians and stroke care specialists who told me that they had already completed a CT Scan and confirmed that David had suffered a stroke,” Deborah says. The medical team administered a round of lifesaving tissue plasminogen activator (tPA) to help dissolve the clot and restore blood flow to David’s brain. However, it soon became clear more needed to be done to help David. 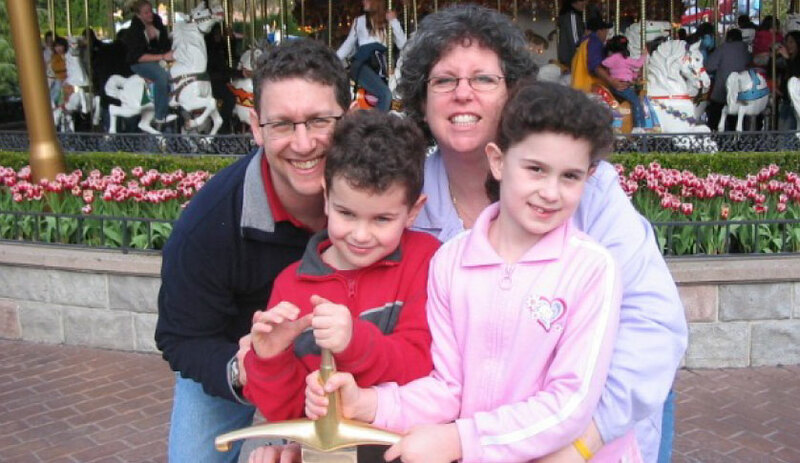 He needed a stent placed in his brain – immediately. His two kids, Sydney and Adrian, visited their dad after he woke up from surgery. After surgery David was enrolled in an intensive therapy program at GF Strong; a bootcamp for the brain and body. With Deborah, Sydney and Adrian by his side, David worked with occupational, physio and speech therapists to start his recovery process. “GF Strong really was a lifeline in terms of fast-tracking David’s ability to recover,” says Deborah. Under the guidance of GF Strong’s talented and dedicated staff, David went from not being able to speak out loud to giving a speech at his sister’s wedding less than six months later. 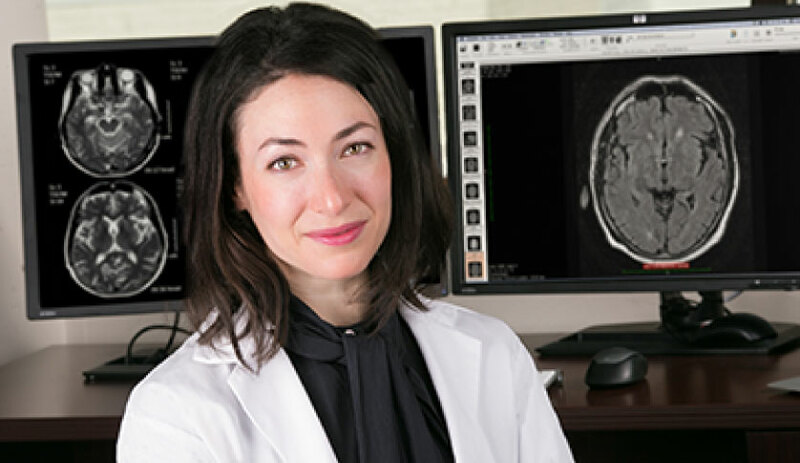 The Stroke Program at VGH is staffed by physicians with with expertise in stroke who are available day or night to quickly evaluate possible stroke patients. One of these physicians is neurologist Dr. Thalia Field, who was the first to recognize that David would require surgery. 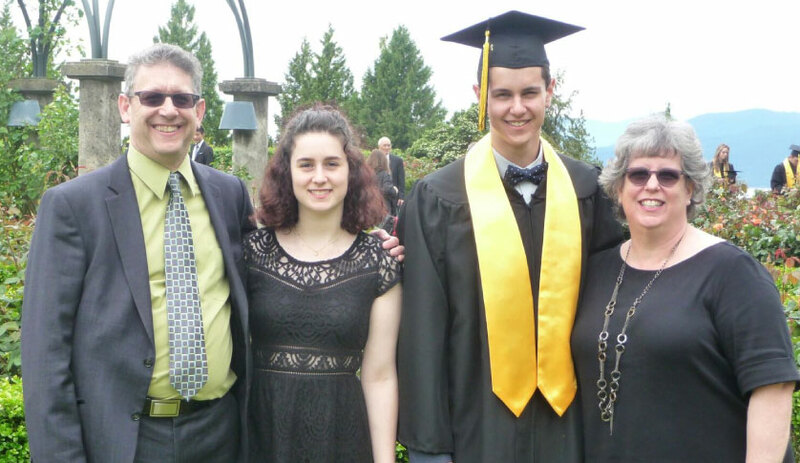 David, Deborah, Sydney and Adrian are truly grateful for the expert care they received at VGH and GF Strong. David is now back at home with his family — the Freedmans are a stronger unit now than ever before. 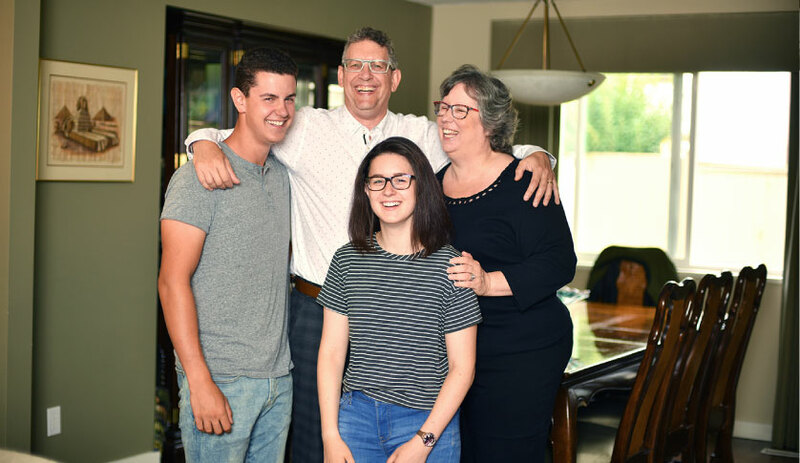 They survived the worst and with the world-class medical team at VGH and GF Strong behind them, they know they have a second chance at life, together. Together we can transform health care and save the lives of dads like David. Donate today and you can play a vital role in delivering the best care possible for the people of British Columbia. Your contribution can accelerate lifesaving care and rehabilitation treatments, ensuring BC residents have access to the best facilities and equipment when they need it. Submit your email to receive the latest inspirational stories about how we’re using your donations to save lives and transform health care. We promise not to share your email with anyone, and you can unsubscribe at any time.